Freddie Welsh a great practitioner of defensive boxing. In the ring, he was calm, elusive and a frustrating opponent for those who relied on power and aggression. He welcomed the opportunity to fight a brawler, fully confident that he would be able to out-slick him. Born in Wales on March 5, 1886, Frederick Hall Thomas came to America as a teenager and fell in love with boxing after witnessing a workout inside a Philadelphia gym. He turned pro in 1905 and fought under the name of Freddie Welsh. He was also known as "The Welsh Wizard." Welsh never shied away from tough competition, meeting Benny Leonard, Willie Ritchie and Ad Wolgast three times and Packey McFarland twice. A true boxing scientist, Welsh was a clever counterpuncher who believed in feinting and shifting his body to draw his opposition out of position. He campaigned in Pennsylvania through 1906, and for a brief period in 1907 he fought a series of bouts in his birthplace of Pontypridd, Wales. The slick boxer returned to the United States and rose to prominence in 1908 after the McFarland bouts. He lost the first contest but fought to a 25-round draw with the great McFarland in their second encounter. Welsh closed out the year with a 15-round decision win over reigning featherweight champ Abe Attell in a non-title fight. In 1909, he won the British lightweight title and in his first defense he faced Jem Driscoll, who was disqualified in the 10th round. In 1914, Welsh won the world lightweight title by decisioning Ritchie in London. 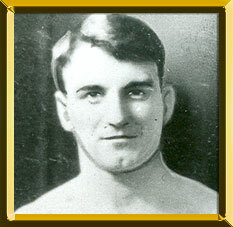 He sandwiched successful title defenses against Wolgast and Charlie White around a non-title win over Leonard. But when he met Leonard again in 1917, with the title on the line, Leonard scored a ninth-round knockout. Among the other legends Welsh met were Johnny Dundee, Battling Nelson, Rocky Kansas and Johnny Kilbane. Welsh served as a lieutenant in World War I and helped disabled veterans at Walter Reed Hospital. He was discharged a captain and returned to the ring in December of 1920. He fought five times over the ensuing 16 months and retired after dropping a 10-round decision to Archie Walker in 1922. Welsh went on to manage Jimmy Goodrich, who won the New York State lightweight title left vacant by Benny Leonard. Welsh died in New York on July 29, 1927.